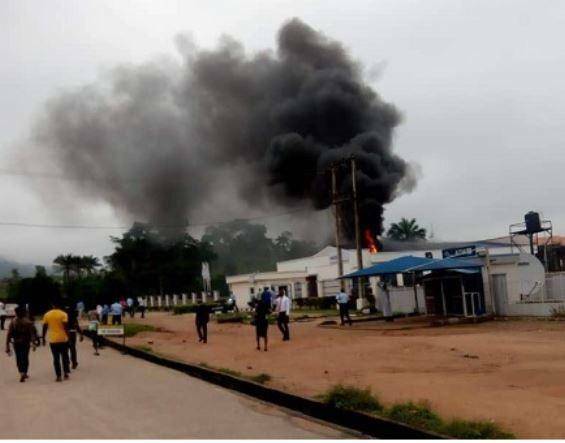 AauaOn Monday, a branch of Access Bank plc, located on the Adekunle Ajasin University campus, Akungba Akoko, Ondo State, witness a fire outbreak. The fire reportedly started in the early hours of Monday where there was no staff or student around the bank premises. However the cause of the fire outbreak is yet to be known, but it was disclosed that the cause of the fire was not connected to a power surge. The fire allegedly burned down the four ATMs that were newly installed at the bank, and the money it contained, some offices were also affected by the incident but no student or staff was harmed. According to reports, the University’s fire service was quick to respond to the incident which helped salvage the situation.